Highlander’s Mum once gave us a bottle of almond liqueur (amaretto) as a gift for our booze-baking pantry. So when it was her birthday, we returned the favor and added it to flavor a chocolate cake recipe. She and the other family members loved it and now it is a tradition to bake a chocolate almond liqueur cake for her birthday whenever we get to celebrate with her and Highlander’s family. 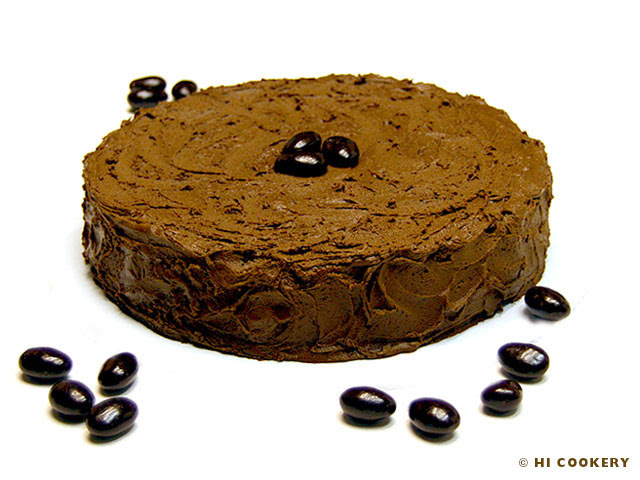 For National Chocolate with Almonds Day, here is a recipe for chocolate almond liqueur cake. 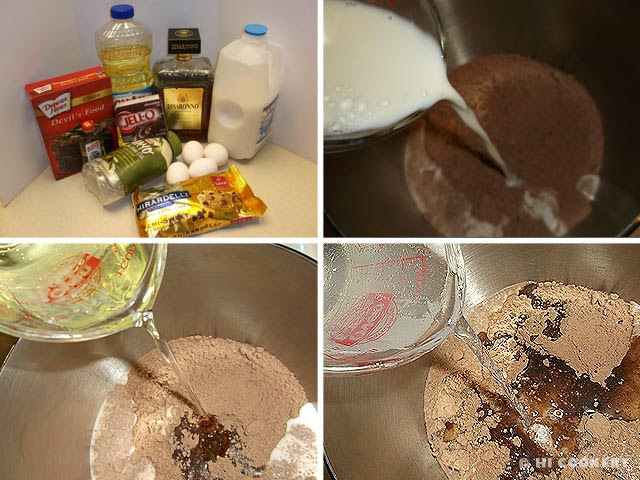 In a large mixing bowl, combine the cake and pudding mixes. Pour the milk, oil and water. 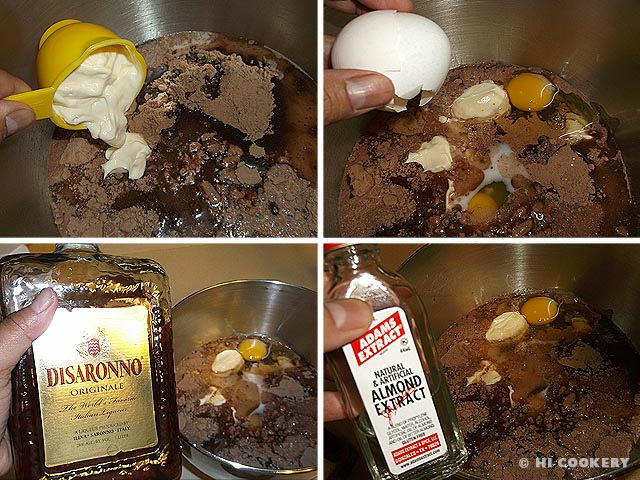 Add the mayonnaise, eggs, amaretto and almond extract. 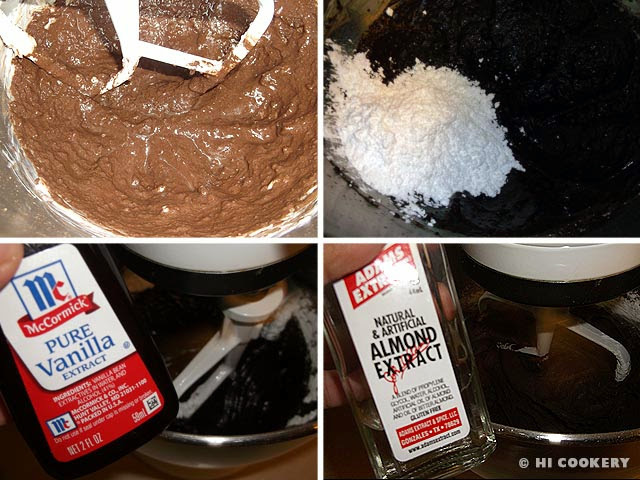 Blend well until the batter is smooth. Fold in the chocolate chips and mix until well combined. 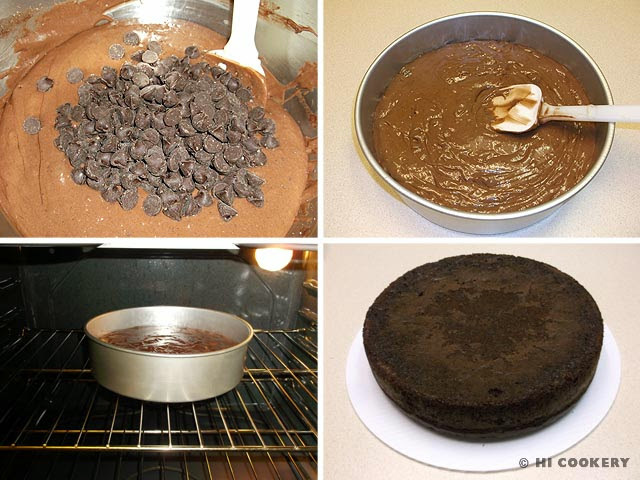 Pour batter into a greased cake pan (we used a 10-inch round). Bake in a preheated oven at 350 degrees F for 50-60 minutes or until done. Remove from the oven and cool completely. Microwave the water in a measuring glass until boiling hot. 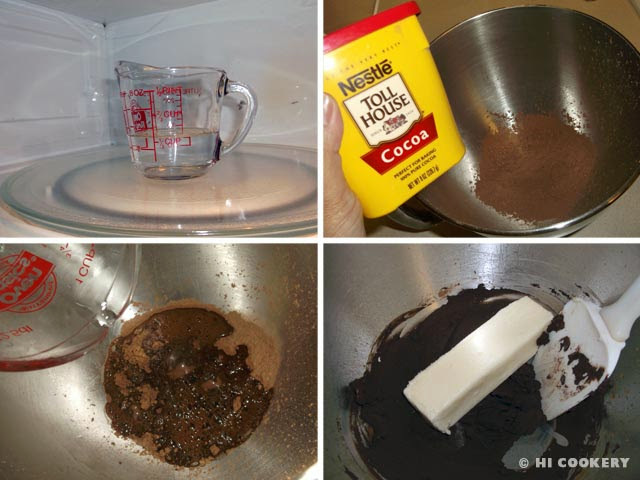 In a large mixing bowl, pour the boiled water onto the cocoa powder. Mix until it sticks together. Blend in the butter until smooth. Gradually add the powdered sugar and beat well. Thin with almond extract and amaretto to a spreadable consistency. 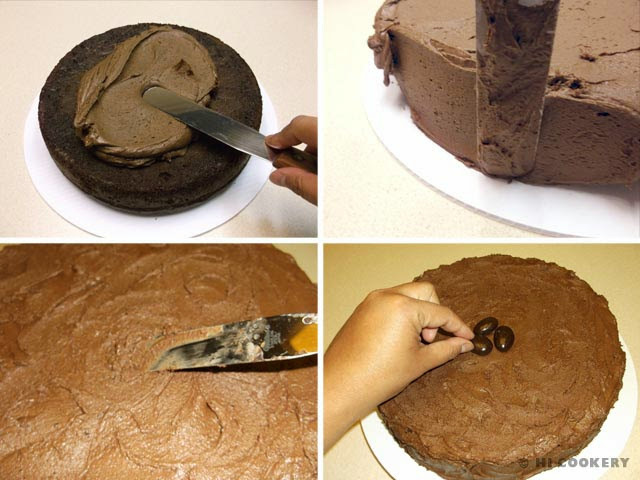 Smear a little frosting on the cake board or platter to act as an adhesive for the cake. Spread the frosting on the top and sides of the cake. Swirl with a spatula to make simple designs. Top with chocolate-covered almonds as an optional decoration. While today may be National (milk or semi-sweet) Chocolate with Almond Day, November 7 is specifically National Bittersweet Chocolate with Almonds Day. Check out the recipe for a bittersweet chocolate almond liqueur tart then. Adore almond liqueur (amaretto)? Try the amaretto cupcake recipe for April 19, National Amaretto Day.